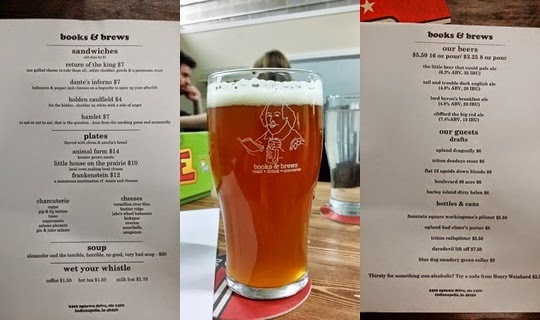 Books & Brews, which was on KickStarter late last year, opened a few weeks ago. As you can probably guess from the name, they are a unique business, combining two subjects close to my heart: books and beer. The front section is a used bookstore, with a wide selection of used books on handmade shelves. Passing through a door in the back of the bookstore, you will discover the bar area. Once again, this features handmade furniture, and a large garage door at the back, which is opened in good weather. There is also a large window behind the bar, allowing you to see into the brewing area. After a couple weeks, they added Hop's Cradle DIPA (7.2%, 85 IBU) - a DIPA hopped with Centennial and Cascade, currently on a nitro tap. Last weekend they added Shogun Soba Ale - an amber ale brewed with buckwheat, giving it a salty-sweetness (for everyone who ever dipped their french fries in their Frosty...). 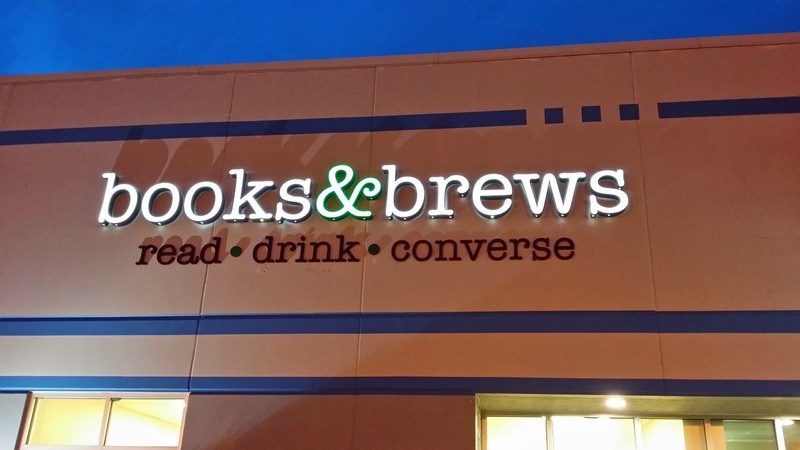 Books & Brews is our new favorite place for great beer, fun entertainment and pleasant conversation.